Khabib Nurmagomedov has big plans for 2018: "My plan is to fight three times next year"
After a dominant win over Edson Barboza, Khabib Nurmagomedov is focused on staying active in the New Year. It was a great day all around for ‘The Eagle’ to close out the year. In one of the most anticipated match-ups on the card, Khabib Nurmagomedov dominated Edson Barboza over the course of 15 minutes. The objective was clear for the Dagestan native from the opening bell. Barboza opened his striking account early with a slew of leg kicks that found the target. Nurmagomedov seemed unfazed as he took the damage head-on, and still managed to lock up his opponent. Edson Barboza is by no means a slouch when it comes to his grappling either. 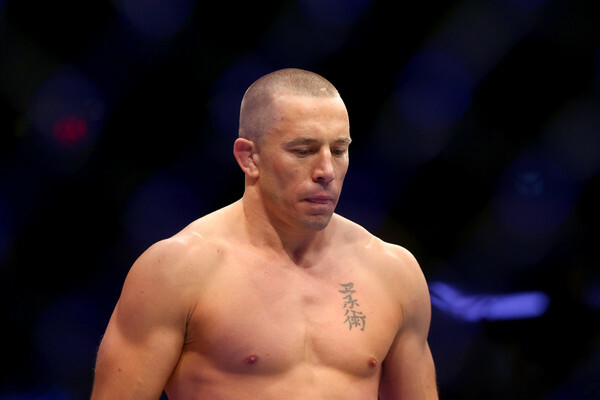 The Brazilian phenom boasted a 86% takedown defense rate entering the bout. But Nurmagomedov proved once again that his brand of grappling is a cut above everyone else at lightweight. Nurmagomedov put serious pressure on Barboza in the first round with a flurry of strikes. His ability to clamp up one or both legs of Barboza as he established posture to land heavy strikes was a crucial element of his game plan. 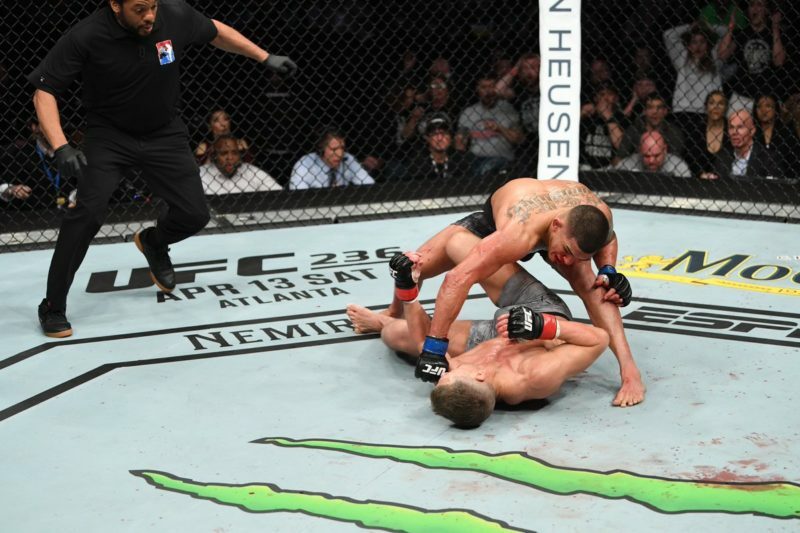 Khabib Nurmagomedov’s relentless pursuit of posture and leg control, utilizing his own legs to stifle Barboza’s mobility, was the bedrock to all of the striking that came with that control. By the end of the first, it was obvious that Barboza had taken some degree of damage as he got off the ground visibly rattled heading into the corner. The following rounds were more of the same for Nurmagomedov as he utilized his own kicking arsenal to open up the defense of Barboza as he was still running on fumes. Even with the handicap of being rocked for two-thirds of the fight, Barboza still found ways to chamber his legs quick enough to put some serious bite on the end of his kicks. 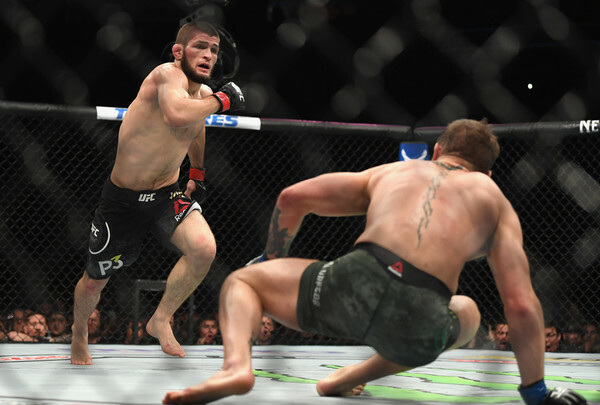 Nurmagomedov was weary of the threat as he managed to control the fight on the ground with relative ease in the later rounds, cruising to a lopsided, yet hard-fought victory. The decision was a testament to the toughness of Edson Barboza. 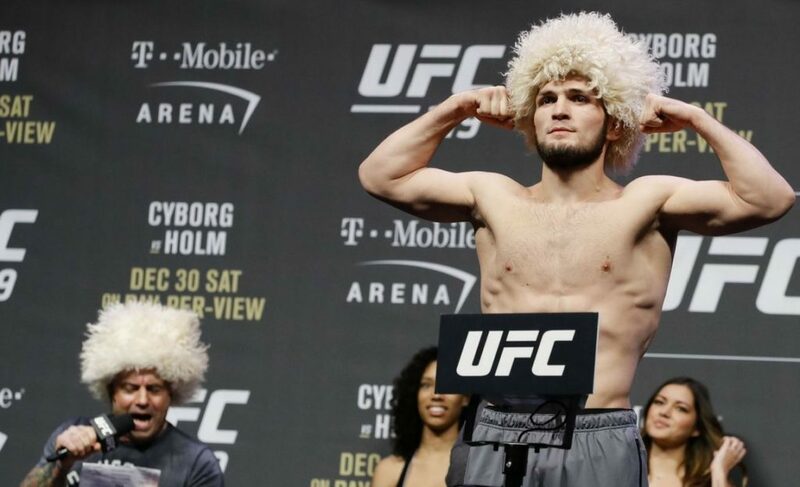 Even though he was outgunned down the stretch, the ability to stay in the fight earned respect from the fans and Nurmagomedov himself. Nurmagomedov scored 30-25, 30-25, and 30-24 across all three scorecards. In the post-fight presser, Nurmagomedov took a second to reflect on what has been a tumultuous year. As his wife also gave birth to his second child today back home in Dagestan, there was even more emotion and purpose going into this fight. And after being injury ridden for the better part of 2017, Nurmagomedov had a lot more to rejoice in as he walked away victorious before the New Year. 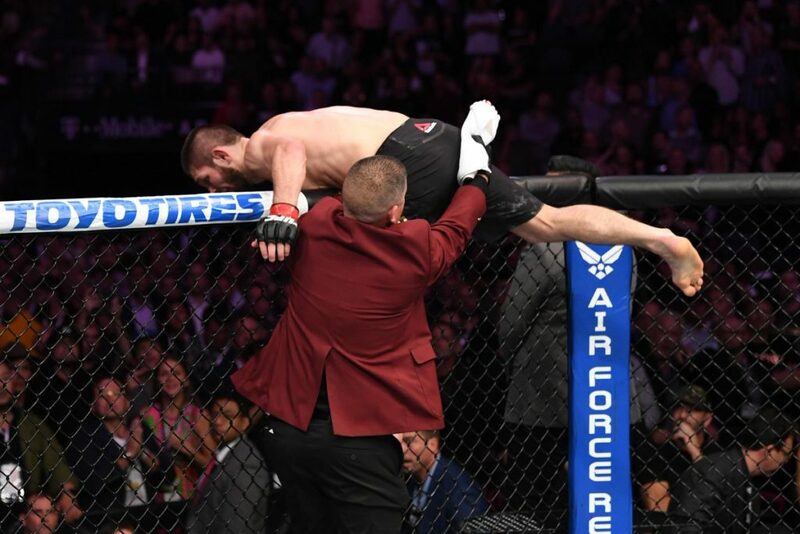 With regards to Tony Ferguson and Conor McGregor, Khabib couldn’t care less about when it actually happens. 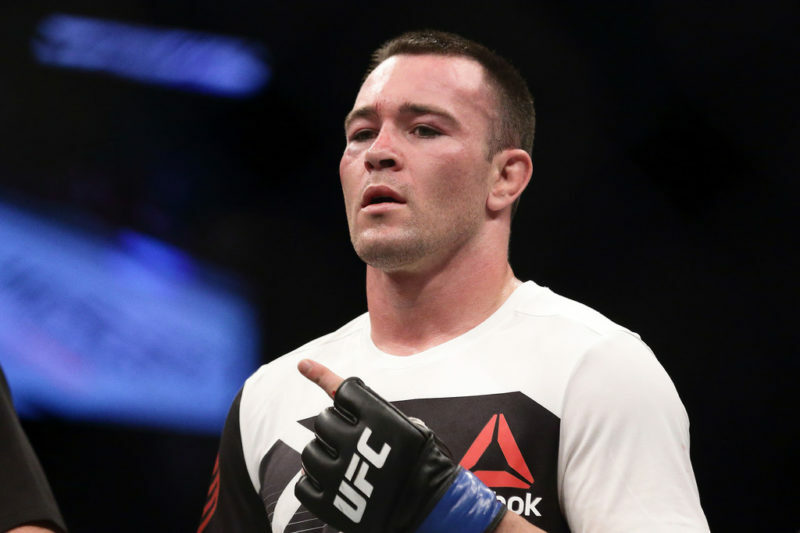 He insists that his plan to fight both of them on the same night is not trash talk, and he sees himself being capable of taking on both of them in the same night with ample rest. 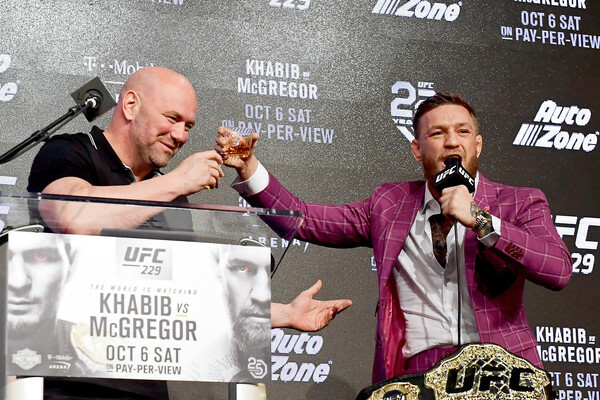 Whether or not Dana White signs off on that Grand Prix idea is a topic for a different day.